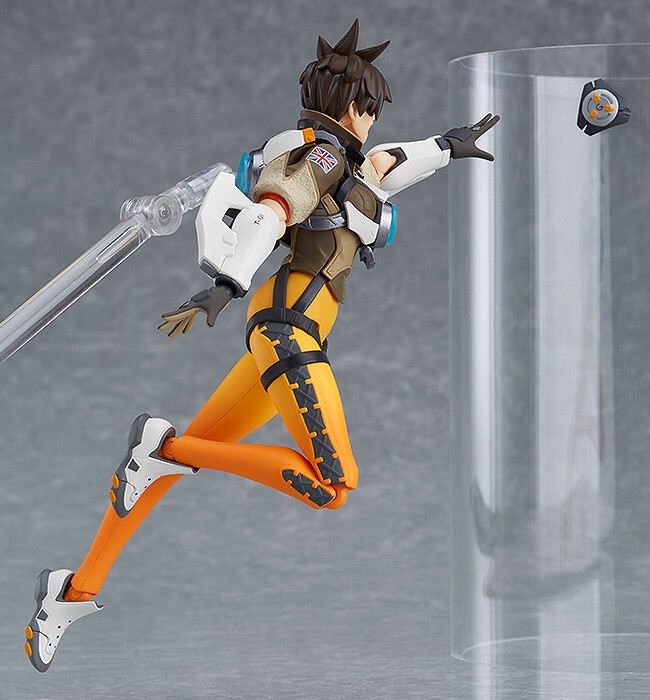 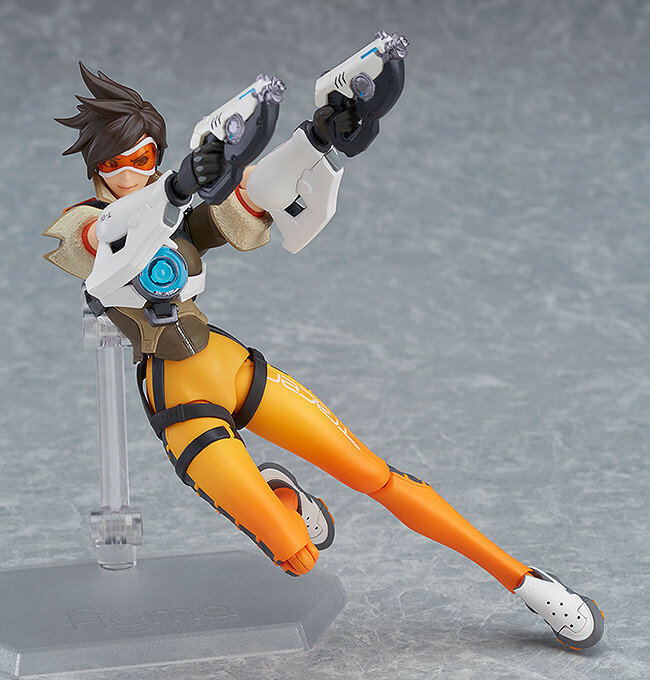 From the globally popular multiplayer first-person shooter Overwatch® comes a figma of Tracer! 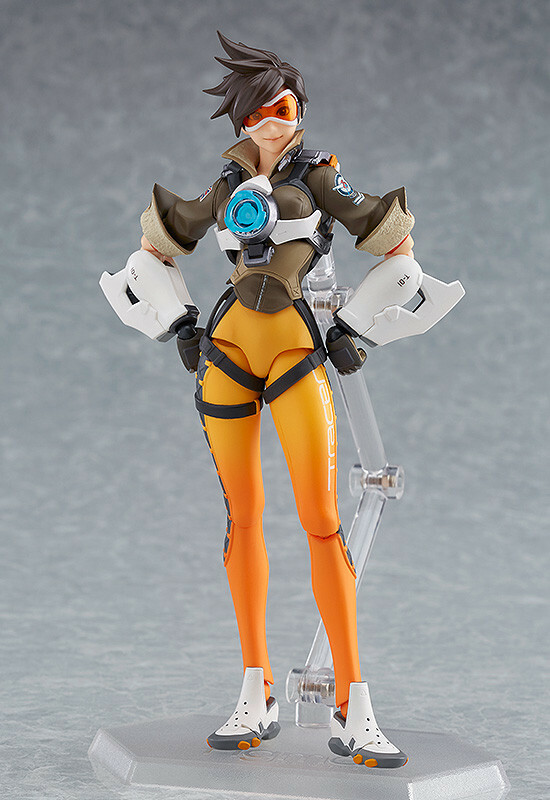 Tracer comes with three face plates, including a smiling face, an excited expression, and a serious, confident expression. 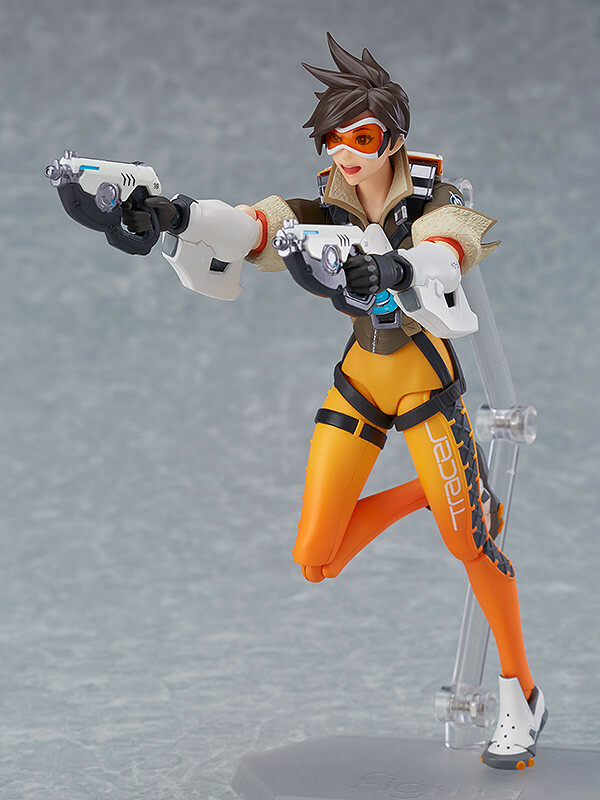 Optional parts include her trusty Pulse Pistols as well as a Pulse Bomb to display her using her ultimate ability. 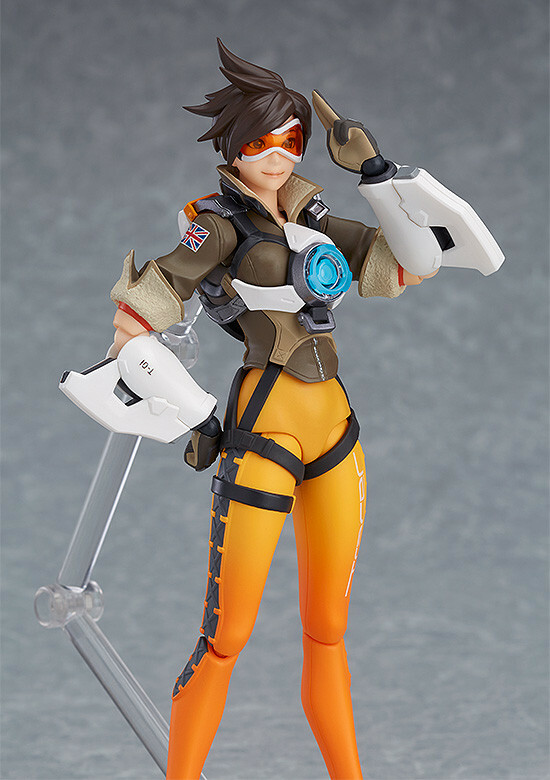 Preorders will be open from 9th June 2017 (Fri) from 04:00JST until 27th July 2017 (Thu) at 12:00JST. 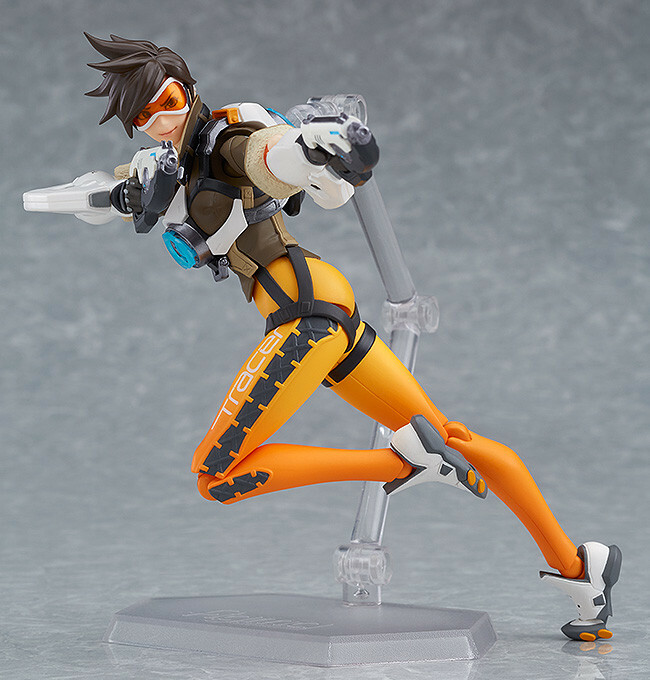 *Shipment to customers in the United States will be 50% off for this product, however it cannot be combined with other products.